CricinfoLiveCricket IPL2017 KKRvsGL Virat Kohli does not even stand ahead of Sunil Narine in this record !! Virat Kohli does not even stand ahead of Sunil Narine in this record !! Kolkata Knight Riders' opening batsman Sunil Narine has broken the record of former Sri Lankan veteran Sanath Jayasuriya in IPL 10 Season. 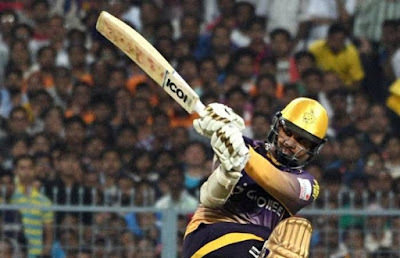 In fact, Gautam Gambhir, skipper of Kolkata Knight Riders chose Sunil Narine as his partner for the opening against Gujarat Lions. Sunil did not disappoint Gambhir and also recorded these records in his name. Naren played an impressive innings of 42 runs in 17 balls with nine fours and a six. Naren made all the runs in his innings with the boundary. This is the highest score made by any batsman in the IPL just by boundary. Naren hit nine fours and a six in his innings. That is, he got a total of 10 scoring shots from which he scored. With these 42 runs, Naren became the highest run scorer in the IPL without runs. Earlier this record was named Sanath Jayasuriya of Sri Lanka, who played for Mumbai Indians, who scored 36 against Deccan Chargers in 2008. Jayasuriya hit six fours and two sixes in his innings. Narine built a solid partnership with Gambhir of 45 runs in 3.2 overs, out of which only three runs were belongs to Gambhir. Gujarat captain Suresh Raina took the ball and caught Naren at the hands of James Faulkner to end his stormy innings. If you talk about this record, then any star batsman like Chris Gayle, fastest ODI century, AB de Villiers, India captain Virat Kohli, who has his name, does not even stand ahead of Sunil. Thanks to the horrific shines of Robin Uthappa (72) and Sunil Narine (42), Kolkata Knight Riders put a huge target of 188 in front of the Gujarat Lions on Friday in the 23rd match of the Indian Premier League 10 (IPL). After losing the toss at the Eden Gardens stadium, Kolkata got to bat first, scoring 187 runs at the loss of five wickets in the last 20 overs. In reply, Gujarat won by 188 runs in 6 wickets.